The Enchanting Rose teacup and mug exchange reveal! Welcome to the party! More than 200 coffee drinkin' and tea sippin' ladies swapped teacups and mugs and a whole lotta love for The Enchanting Rose's 11th exchange party. Our daughter was bringing in the mail for us while we were out of town in October. She told me I had a package from Ontario waiting for me. I had a sneaking suspicion it was from our self-proclaimed "teaholic" friend Margie from Tea in the Valley. And I was right! Wow. She so spoiled me. Look at all these fabulous goodies! 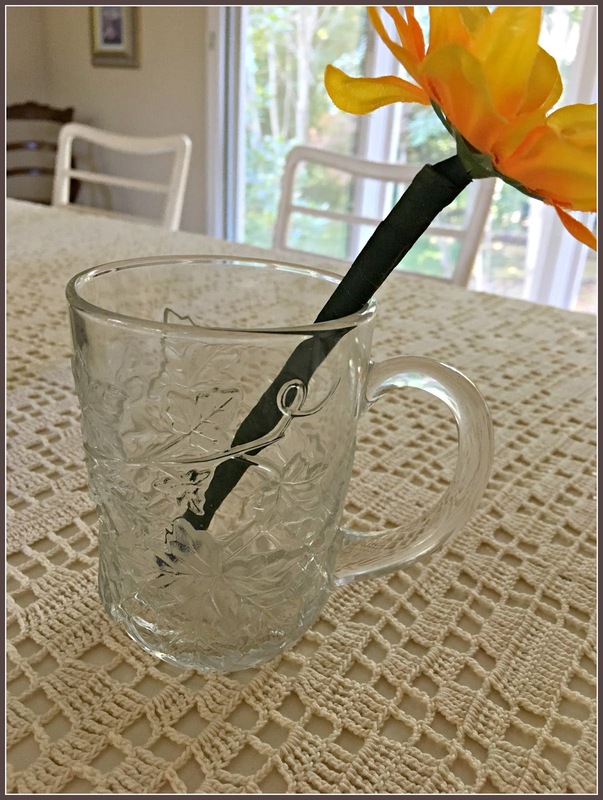 An elegant and lovely teacup. Trés chic. She included a Jane Austen coloring book. Love Mr. Knightly. He's my favorite. Preach it, Emma . 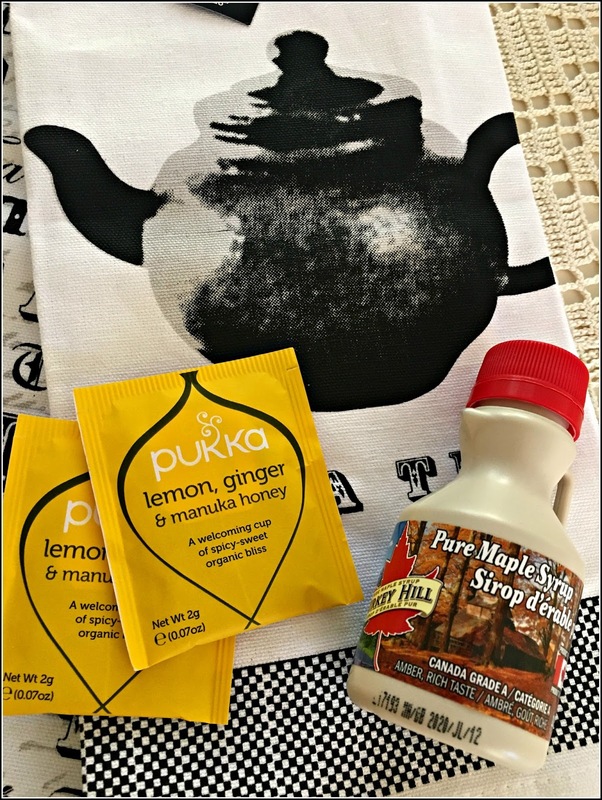 . .
Real maple syrup from Canada. Thank you Margie. You sure know how to make a girl feel like royalty. This was the first time I did a mug exchange. This is from Chas of Chas' Crazy Creations. She also does DIY videos on Hometalk. I am in greater admiration of her after having done a few practice YouTube videos! It takes confidence and some courage for sure. She shows you how to make easy and low-cost crafts. Right up my alley! I love this mug with the raised autumn design. Chas made this delightful little pumpkin and included a battery-operated light to go inside. 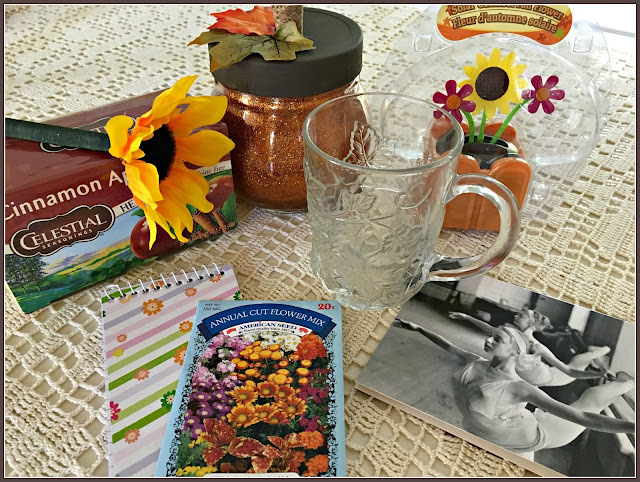 I sent a fall mug and package to Annie in Indiana. . 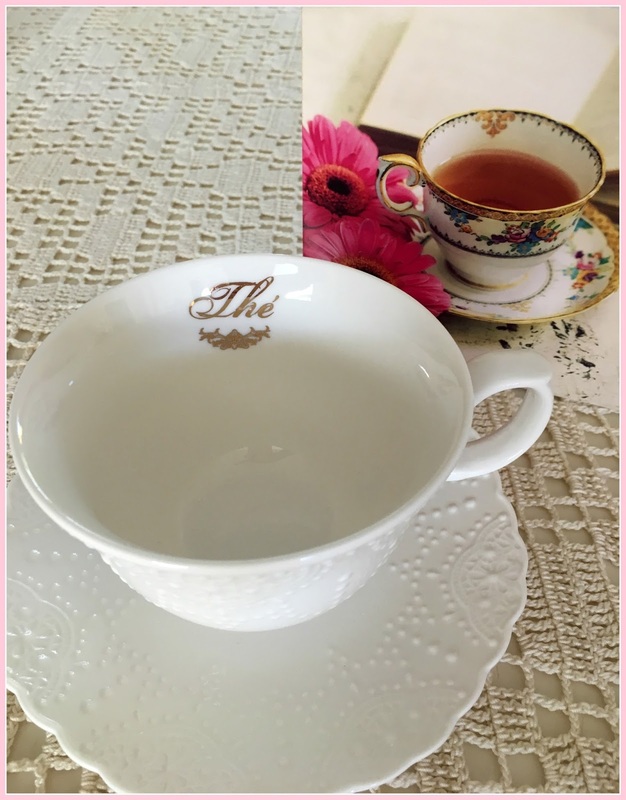 I sent a teacup to Tanya at Timeless Romantic Designs. I was excited when I learned she likes pink. So many thanks to our lovely hostess Stephanie. None of us probably realize how many hours she puts into these exchanges to make them so enjoyable for everyone. Thank you, dear Stephanie. Linking with The Enchanting Rose. 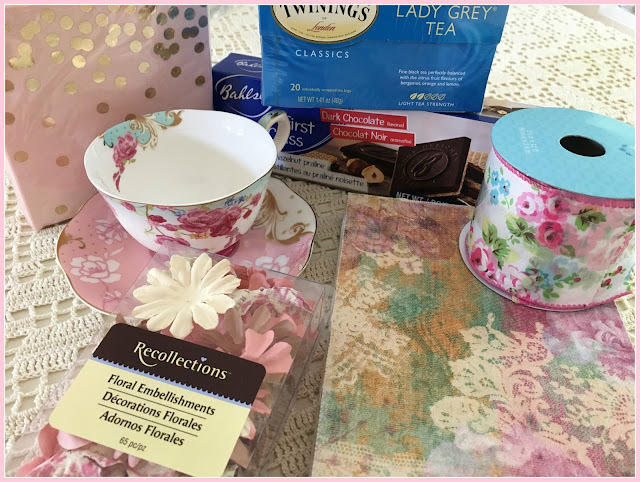 What a fabulous teacup from our Margie, Deborah, and what a pretty mug from Chas, not to mention all the other goodies included in the packages. Yes, indeed, you were spoiled, but you also gifted your recipients with such lovely treasures. Yes, our sweet Stephanie is the hostess extraordinaire! I don't know how she does it, either, but she does it with such love and kindness. Oh-How lovely!!! Did you do a double exchange-that you ended up with two different partners? What wonderful packages--every one of them. I am most definitely ooohing and ahhhing right now, my friend. Everything, and I mean everything, is simply lovely! 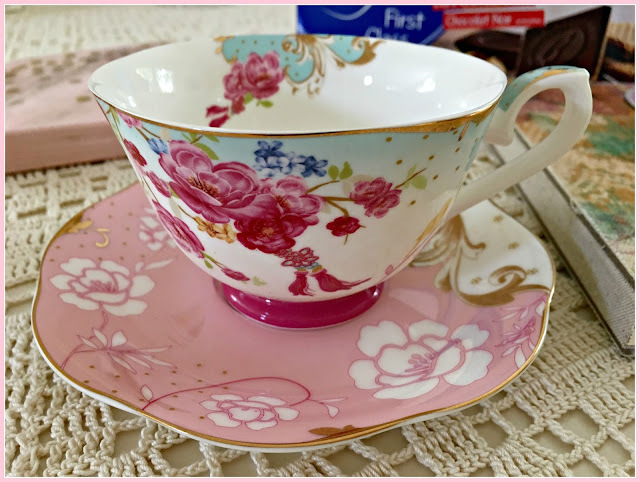 I had to smile when I saw Margie sent you socks as I know she has a love for them :) The tea cup is quite the beauty and so you, Deborah. 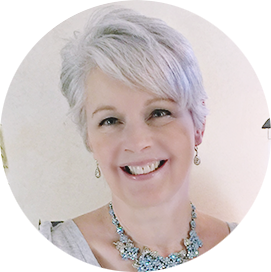 Chas is a delightful lady and her ideas are simply fabulous! 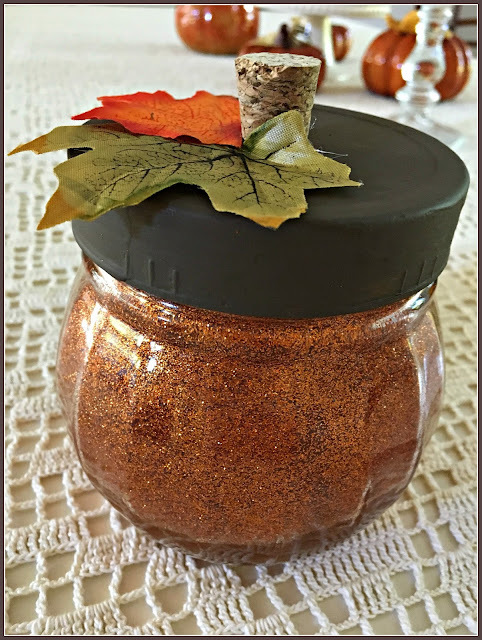 Like you, I love to craft with a budget...make pretty items at a low cost. LOVED the packages you sent out! Oh, what a pretty mug you sent to Annie and things you gifted Tanya with look right up her alley. Thank you for joining the fun, my friend. Enjoy the remainder of your week! Love and hugs! I loved seeing all the delightful items. It was my pleasure to send you a teacup, Deborah! 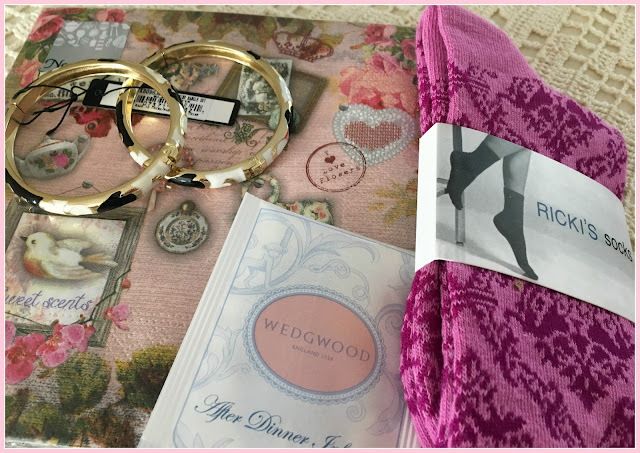 I had a blast picking out the items for your package (which you photographed beautifully!). 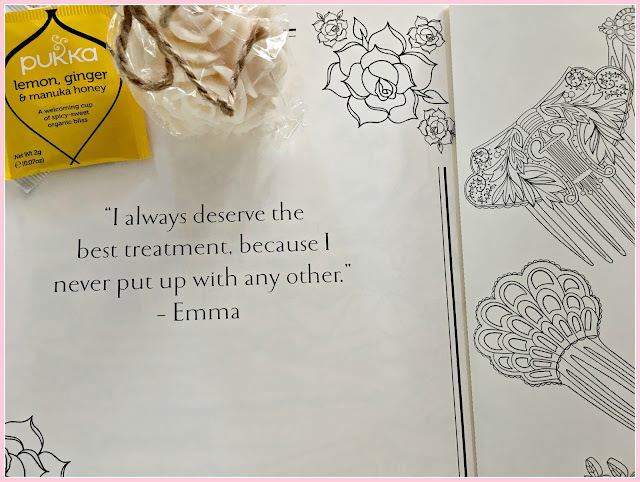 Emma is also one of my favourite Jane Austen novels. The film version with Gwyneth Paltrow always makes me laugh out loud. What a fun autumn-themed mug package! Chas' handmade pumpkin is too cute! I'm sure that your swap partners loved the wonderful packages that you sent them. Beautiful and fun! Yes, I was the recipient of the beautiful PINK package! :) Thank you again for the beautiful package! Hello Deborah! I just came from visiting,for the first time I must say, Tanya, whom you gifted to. Oh my my! You certainly graced her with a gorgeous tea cup and box full of joy. I so enjoyed reading her post. Your tea cup from our sweet Margie is quite dainty, gorgeous in fact. How delightful to receive a package from her. Your mug from Chas, who I've had the pleasure of meeting, thanks to Stephanie, is lovely. I wonder, is it a princess house piece? I have a few of their pieces that have a Fall look about them. So pretty. Now that mug you sent off is absolutely gorgeous! Such a lovely mug to enjoy a hot drink in on these winter days ahead. Everything is so beautiful, Deborah. Deb! WOW- your treasures both coming and going are amazing! I was the lucky recipient of last autumn's swap with Margie. I think she's one of the sweetest bloggers in blogdom, truly and sincerely. I love that teacup she sent you- you know how I love white, off white, ivory lol. And the packages you sent out = you are one classy gal. That birdie mug I gasped out loud, haha, it's AWESOME - and the pink one, so so so feminine and lovely. Love these swaps - so so glad you joined in the fun - bet you never miss another! You really did get many wonderful goodies. I think everyone loves your mug. Such a fun exchange. So much prettiness in this post...I don't even know what I like best! Your gifts, both sent and received, are so wonderful. :) It is a fun exchange, isn't it? How wonderful that you had the tea package waiting on you when you got back home! Marge did a gorgeous job with her package, and the teacup is just so pretty! 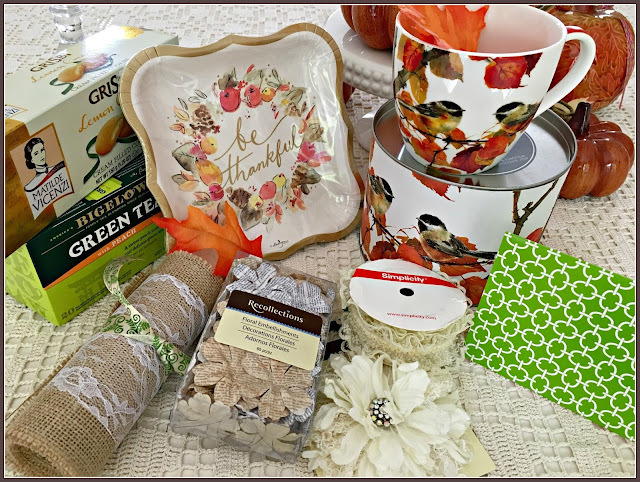 I also love the fall mug that you sent, and the beautiful teacup that you sent out as well, wow, so much fun participating in two exchanges! So many delights and pretties to enjoy through the long winter ahead! 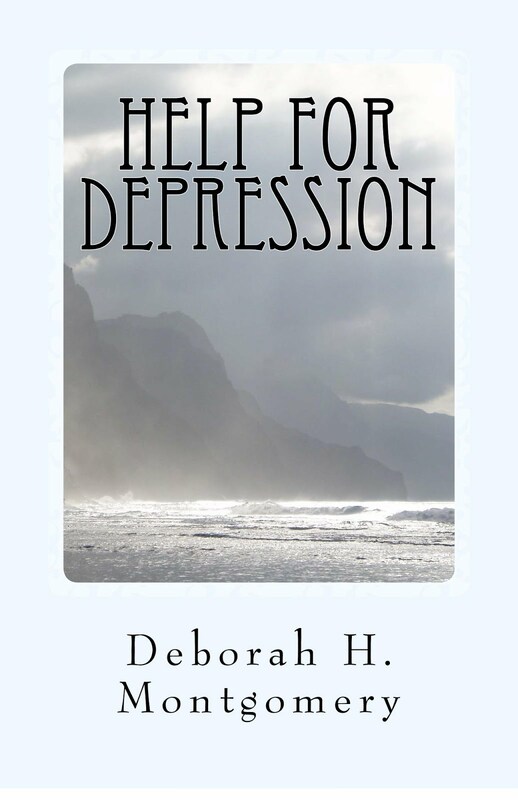 Hi Deborah, what a wonderful exchange and your received and gave beautiful gifts. How fun to be in two this time. Once again Stephanie organized a wonderful time for all. I could not participate this time, but enjoying visiting those that did. It's so much fun to see what everyone has given and received!Looks like you've been busy sending and receiving packages! What wonderful goodies you sent and received from everyone, I LOVE everything. Margie was my first tea cup exchange. We have kept in touch, she's a sweetheart. 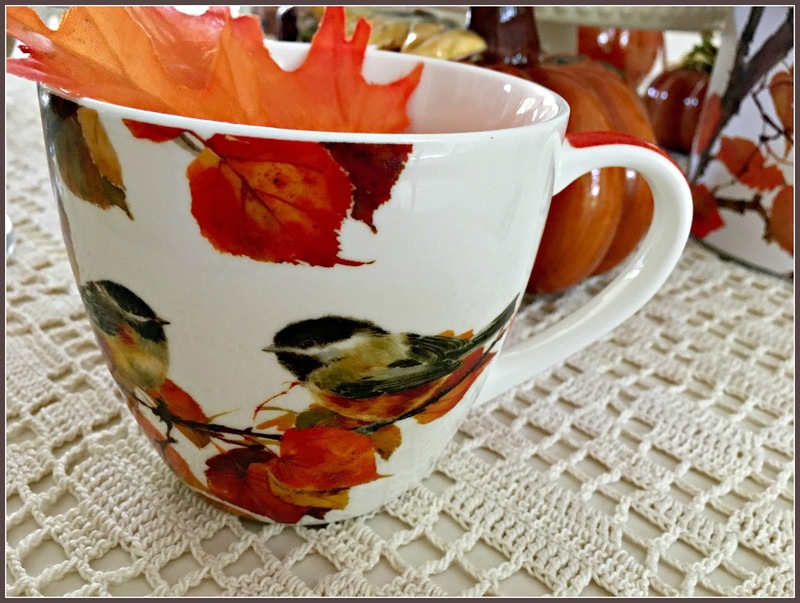 The mug with the raised Autumn design is quite interesting, the Chickadee tea cup you sent is just adorable and the pink tea cup is very unique. I am finally getting around to commenting on your lovely post...went to TN the day after the reveal and just haven't gotten around to everyone. 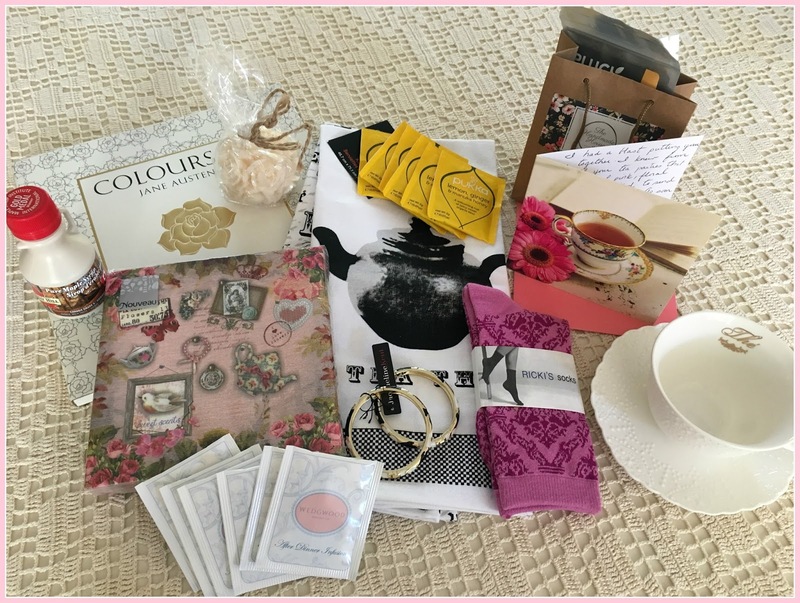 You certainly were the recipient of two fabulous packages and you the ones you sent out were filled with so many gorgeous items...both the mug and the teacup you picked out were stunning. Stephanie has outdone herself once again! So many pretties! I love this swap - and visiting with everyone who took part. It's such fun to see what everyone chose to send each other. Definitely lots of inspiration for the next swap! Do you tweet? Upload YouTube videos?